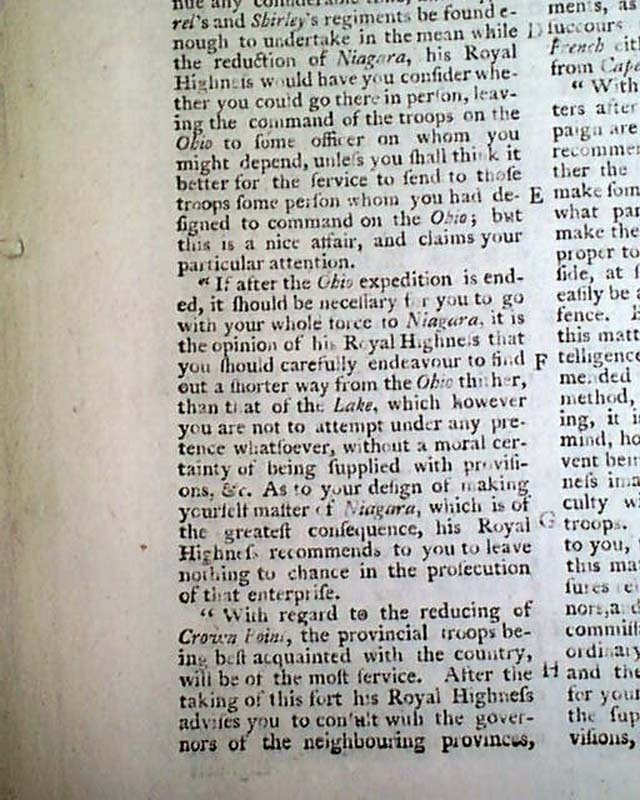 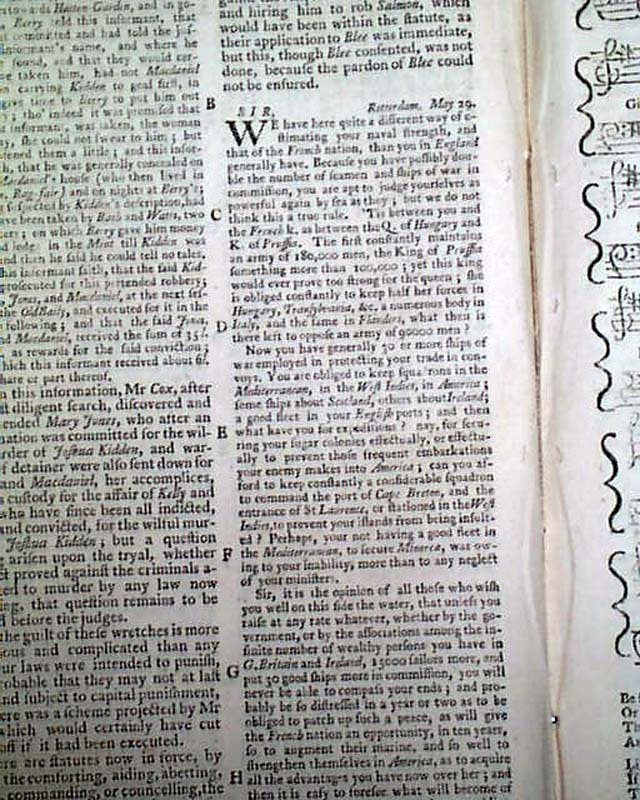 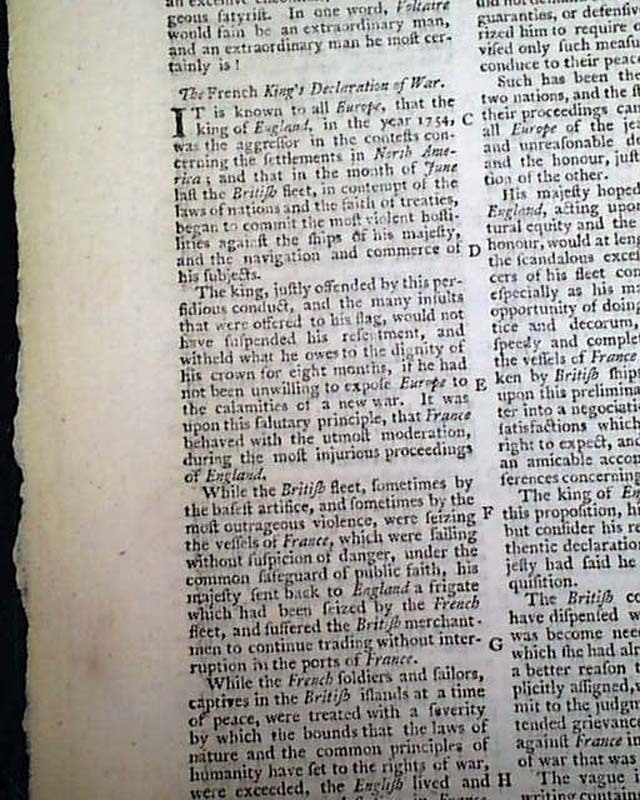 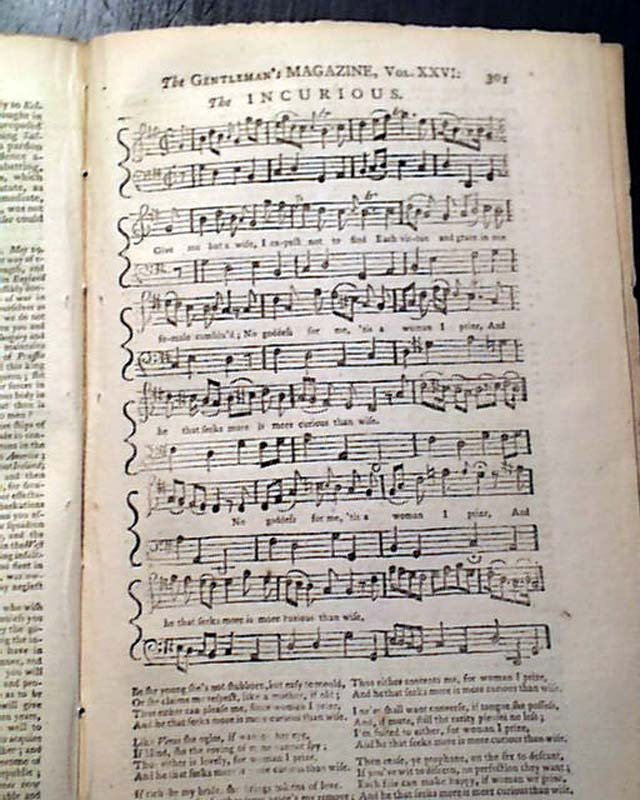 Page 4 has an interesting item on the "French King's Declaration of War" which is essentially their justification for going to war against England in what we now call the French & Indian War (see for portions). 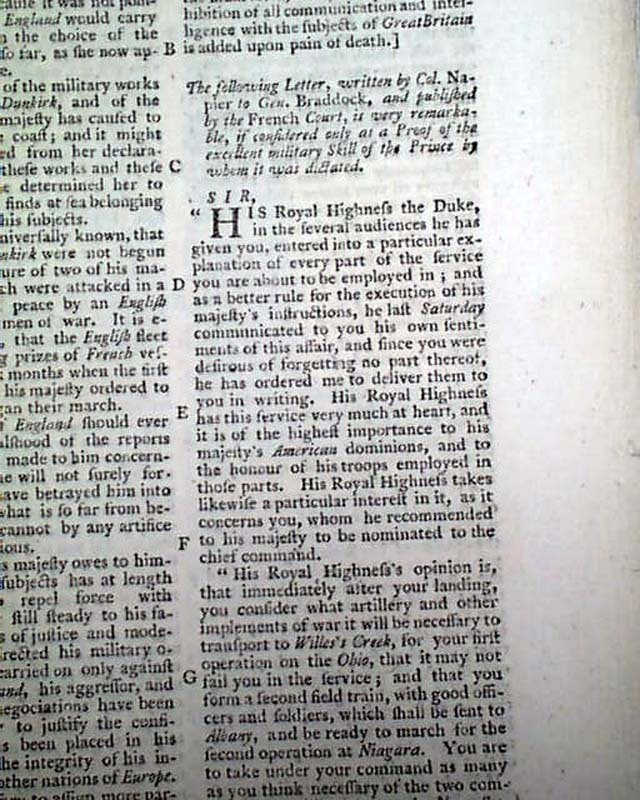 This is followed by a: "...Letter written by Col. Napier to Gen. Braddock..." with much discussion of the French & Indian War (see for portions), taking over a full page. 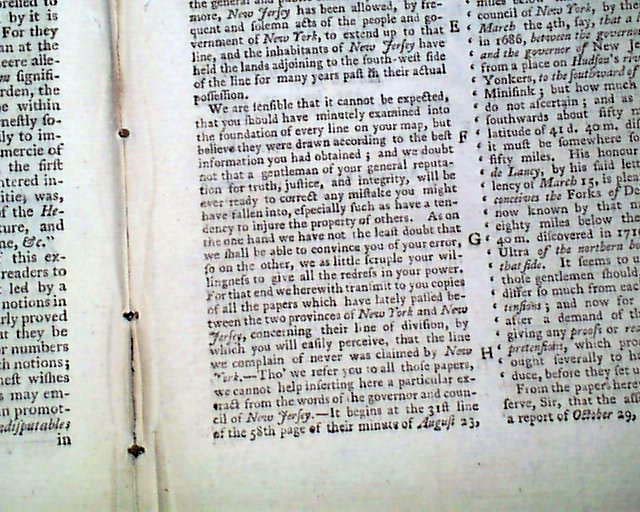 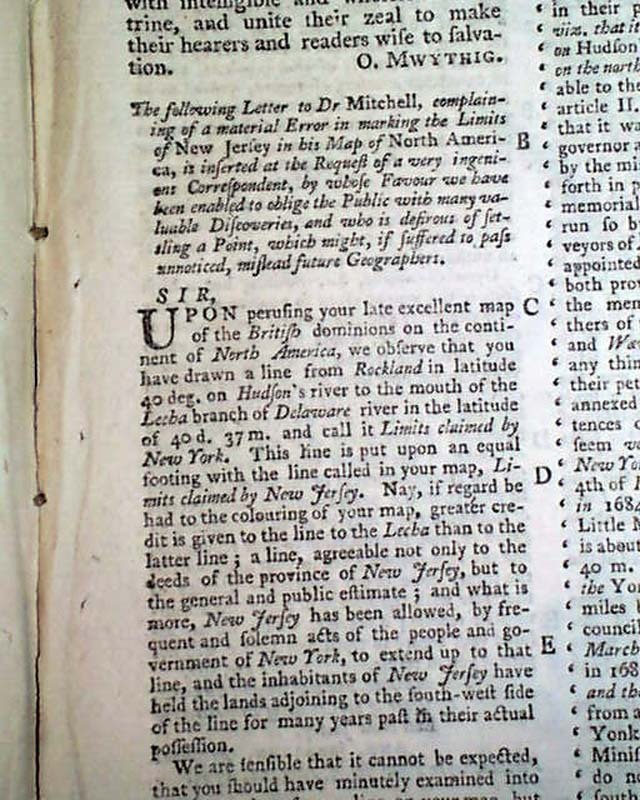 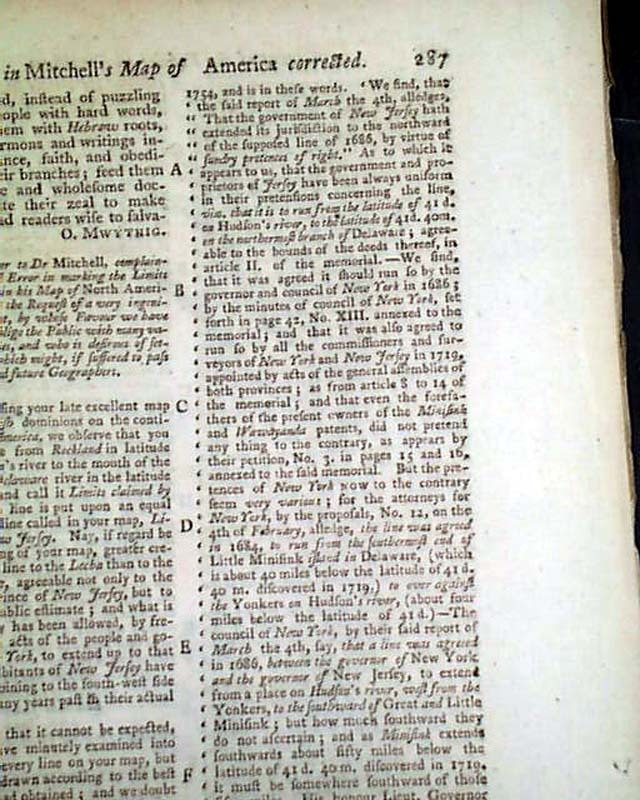 Over a full page is taken up with a: "...Letter to Dr.Mitchell Complaining of a Material Error in marking the Limits of New Jersey in his Map of North America..." which is critical of some of the boundary lines in a recently published map (see). 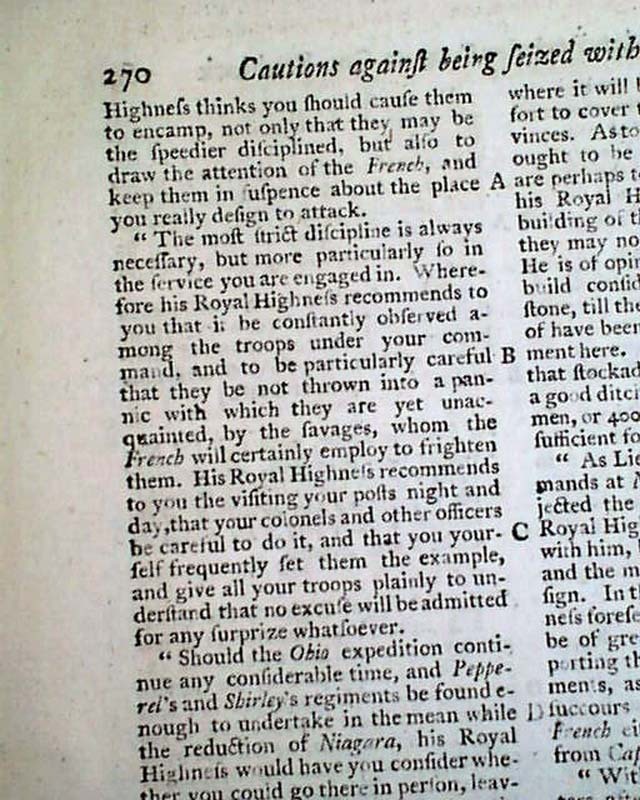 And there is some content on the Battle of Minorca as well. 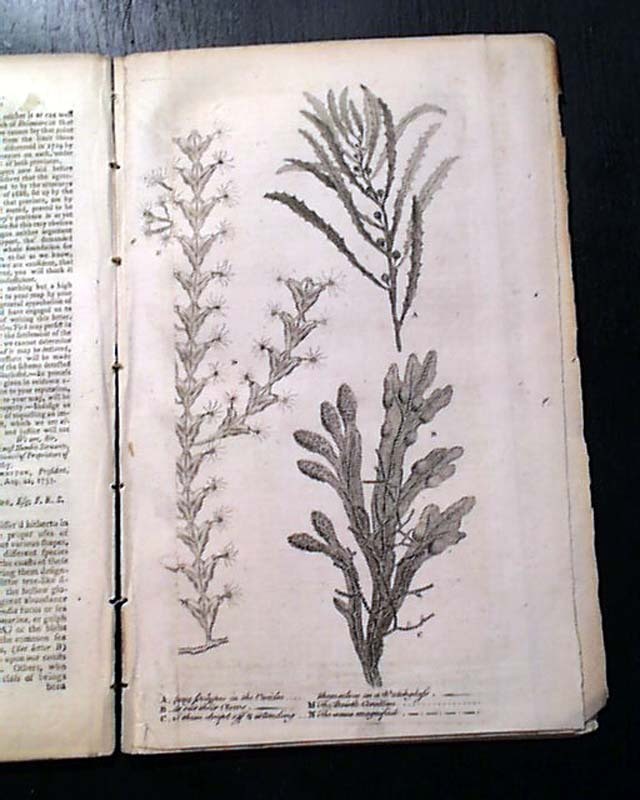 Included is the only plate called for, being a large foldout with various sea plants. 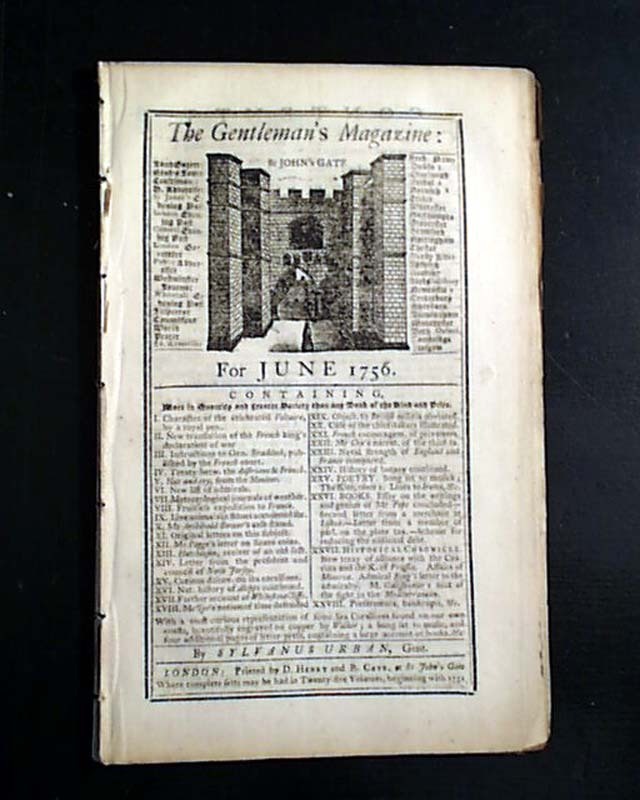 Complete in 52 pages, 5 by 8 inches, full title/contents page featuring an engraving of St. John's Gate.